So it’s finally full-on summer. That’s great. 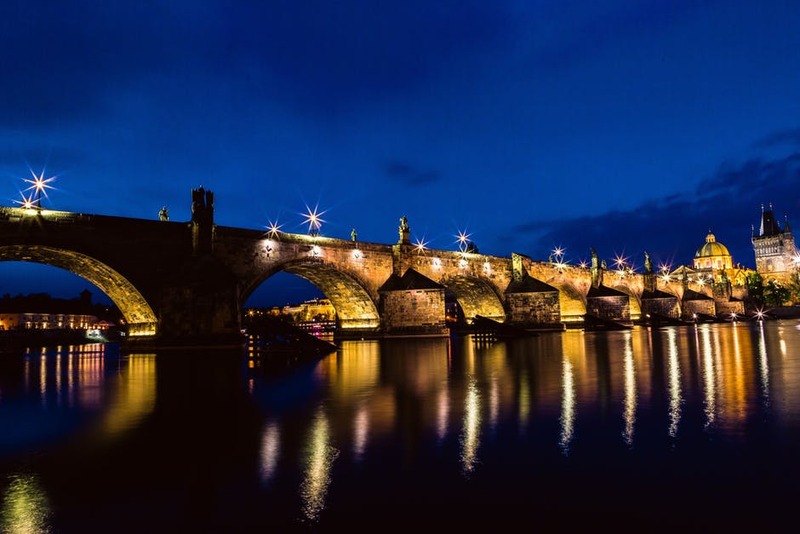 The fun, the sun, the heat reflecting off the cobblestone streets, the sweat on your brow, the stinky tram rides – Prague’s got it all for everyone to enjoy. And when you’ve enjoyed it all enough, you’ll probably want to do something to cool off for a bit. There’s no shortage of cool-down activities in the city, and we’ve made a list of a few suggestions that you can try this summer season. Enjoy! Rent a peddle boat or row boat and go for a ride on the river Vltava. It’s cheap (usually about 200 kc an hour for a craft that fits 2-4 people), it’s relaxing, it’s scenic, and there’s a drive-up beer service if you know where to look. Check out the island Slovanský Ostrov right next to the National Theater, and you’ll find a couple of rental outfits there, and in between them is a bar called S.P.L.A.V. floating on pontoons which houses the aforementioned take-out window. Sometimes when the weather is really nice, you might have to wait 10 or 15 minutes for a boat to be returned to the dock that you can take, but not usually longer than that. Go swimming and sunning at Žluté Lázně, a beach area on the bank of the river in Prague 4, just south of the city center. 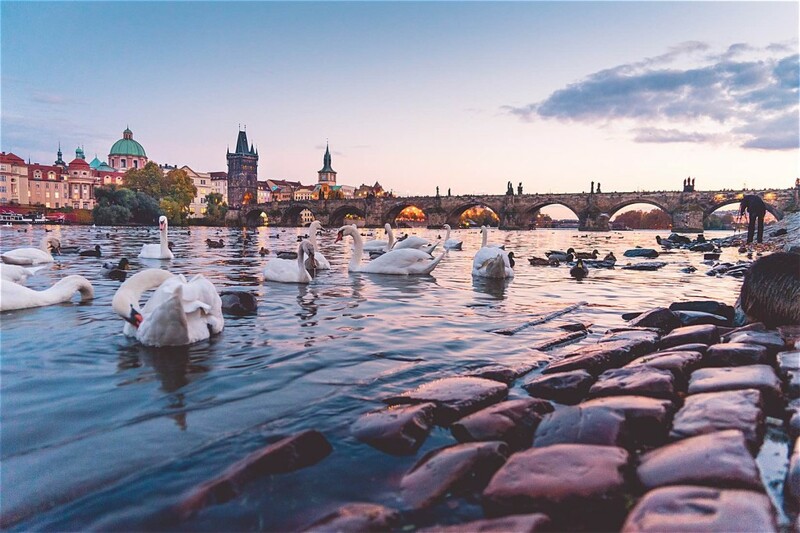 There’s a sandy beach area, a grassy beach area, food, drink, beach volleyball and other assorted sporty activities, and the brave-hearted can swim in the not-quite-crystal-clear waters of the mighty Vltava. From the center, catch tram 2 or 17 to stop Dvorce. If you’re into the water park thing, there’s Aquapalace Praha in the extreme south of the city. It has a water world with indoor and outdoor areas, sauna world, fitness center, and spa. To get there ride to the end of metro line C at station Opatov. From there catch bus 328 or 363. Go for a swim at a public pool. There are a number of pools in Prague and they’re all generally clean and well-maintained, but also tend to be somewhat too crowded to allow for much fitness swimming. Here’s a few you can try if you want to hang out by the water and enjoy some sun and a beverage. Just click on the links to see where they are, and be prepared to use your best Google Translate skills: Podolí, Pražačka in Žižkov, Šutka, Divoká Šarka, Letňany Lagoon Aquacentrum. When all else fails and you’re feeling particularly laid-back and unmotivated, as one does sometimes especially in the summer, go see a film in an air-conditioned cinema. Nothing brings the blood temperature down to a manageable level quite like sitting in a cool, darkened amphitheater for a couple of hours with a bucket of popcorn. You can find all the big international releases at these locations, among many others: Cinema City, Kino Světozor, Lucerna Cinema, BIO OKO, Kino Aero.